Jamie’s right at the top – but could it all fall apart? The World Cup Finals are beckoning. Jamie’s finally made it into the big time. But his world footballing future hangs on one question: which country will he play for? And will his skills match up against the greatest players on earth? 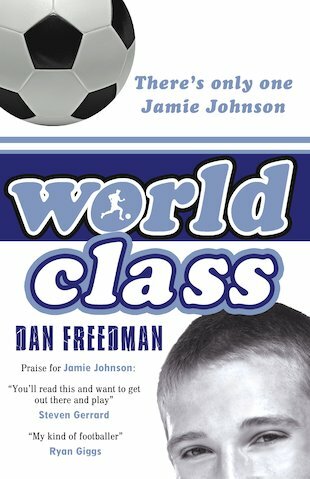 With striking new characters, plus all his trademark fast-paced football action and off-pitch drama, Jamie Johnson returns on very top form for the fifth book in this stunning series. this is an amazing book i cant get away from it! when my mums says bed time [when im reading] i ask if i can stay up to read more!! !